The recently renovated Homewood Suites by Hilton Houston Near the Galleria is situated mere steps from the heart of the prestigious Galleria shopping district in uptown Houston Texas. This upscale high-rise all-suite hotel is minutes away from Minute Maid Ballpark /home of the Houston Astros/ Reliant Stadium /home of the Houston Texans/ Toyota Center /home of the Houston Rockets - Houston Comets/ the George R. Brown Convention Center Rice University and the Houston Aquarium. Companies such as Chevron-Texaco IBM Blue Cross-Blue Shield Duke Energy Bechtel and Apache are located conveniently nearby. Our Houston Texas Homewood Suites by Hilton near the Galleria hotel features recently renovated one and two-bedroom suites and studio suites that feature a fully-equipped kitchen with full-size refrigerator microwave and coffeemaker as well as a hair dryer iron and ironing board and a 37-inch TV with pay-per-view movies. Sure to please the busy executive or leisure Texas traveler Houston Homewood Suites hotel guests will enjoy starting their day with a complimentary full breakfast buffet with hot and cold items. Our hotel guests can wind down their day with our Welcome Home Reception Monday through Thursday that offers complimentary wine beer and soft drinks along with a light meal. Guests will also have the convenience of an on-site guest laundry complimentary high-speed internet access throughout the hotel indoor pool and spa and fitness center. 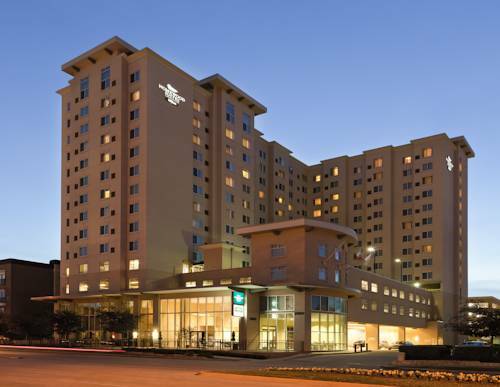 Make yourself at home in Texas at the Homewood Suites by Hilton Houston Near the Galleria hotel. all reservations must be guaranteed with a major credit card or advance cash deposit to hotel regardless of time of arrival. all reservations must be cancelled by 24hrs host time unless deposit required policy subject to change.